As with most sudden declines in a market, the recent selloff in Puerto Rico municipal bonds has been in the works for years. Puerto Rico has been in a recession since 2006 as the Puerto Rico Economic Activity Index, below, clearly shows. 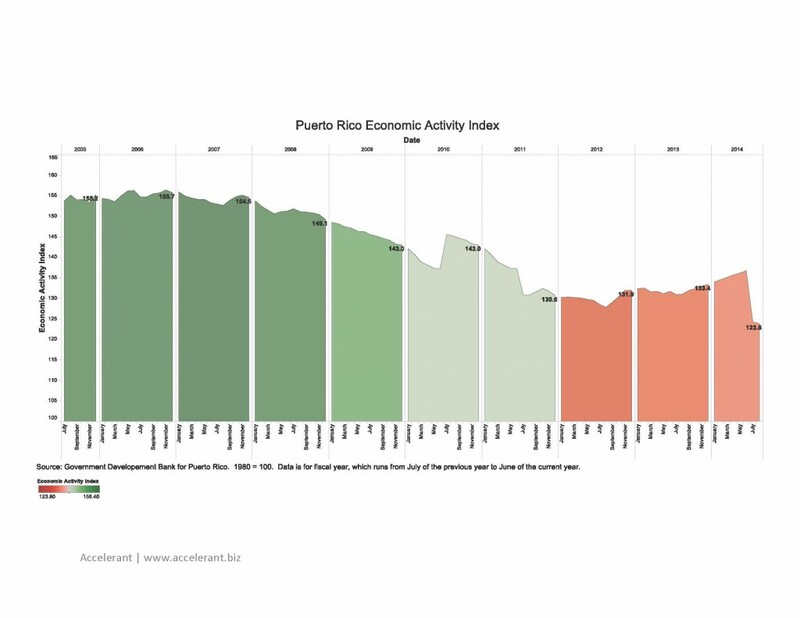 For a higher resolution version of the image below, click Puerto Rico Economic Activity Index.